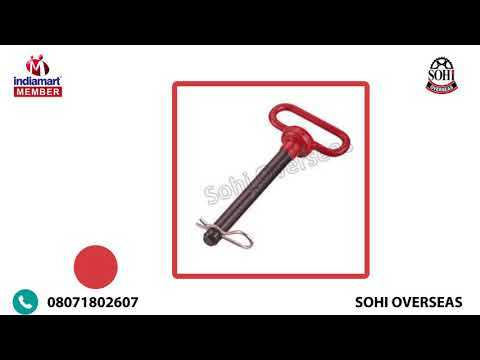 Incepted in the year 1991, in Ludhiana (Punjab, India), we, %u201CSohi Overseas%u201D, are the leading name engaged in manufacturing a comprehensive assortment of Tractor Linkage Pins, Trailer Spare Parts, Stabilizer Chain Assemblies, Cone & Link Balls, Auto Parts, Sheet Metal Components, U Bolts, Container Locks, etc. Keeping varied requirements of customers, we manufactured these products using optimum quality raw material and sophisticated technology with high precision, to meet the set industry quality standards. Offered range of products is widely appreciated among our prestigious clients for its features such as compact design, dimensional accuracy, reliability, durability and perfect finish. In addition to this, our offered products can be availed in both standards as well as in customized forms as per the varied requirements of clients. Apart from this, clients can avail the offered products from us at cost-effective price range. We provide customized solutions as per client's requirement.